Rachel Whiteread emerged on the London art scene in the "cool Britannia" era of the late '80s and early '90s. The country was doing well financially and culturally, and people were ready to buy contemporary art made by contemporary British artists. Whiteread established herself as a leading light with her casts of everyday objects, which solidified the negative space in, under and/or around them in materials such as wax, plaster, concrete and resin. House, Whiteread's massive, freestanding concrete cast of the interior of an entire three-story Victorian house, earned her the prestigious Turner Prize in 1993, making her the first woman to win. 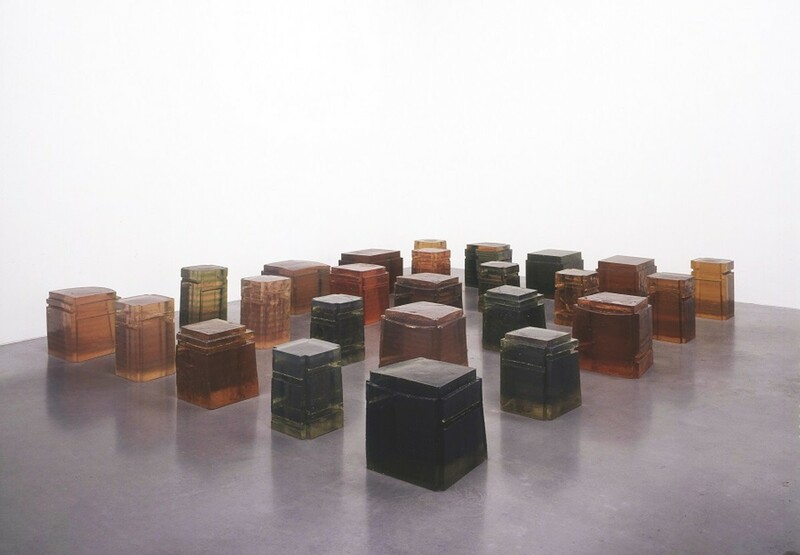 Rachel Whiteread, the new exhibition at the Saint Louis Art Museum, is a retrospective of the artist's career that showcases 96 objects. They range from the small Untitled (Pink Torso), a voluptuous form of the inside of a hot water bottle cast in pink dental plaster, to the expansive Untitled (Twenty-Five Spaces), translucent resin casts of the underside of various chairs and stools arrayed on a game-board-like grid. The exhibit is on display Tuesday through Sunday (March 17 to June 9) at the Saint Louis Arts Museum (1 Fine Arts Drive; www.slam.org), and tickets are $6 to $12 (but free on Friday).